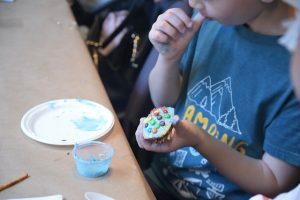 Please enjoy some photos from Family ArtsBash 2018. 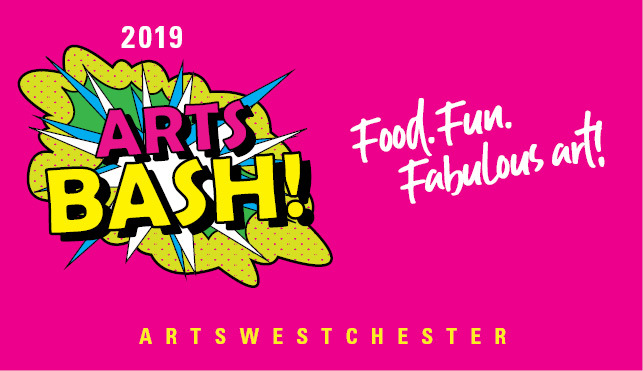 Please enjoy some photos from ArtsBash 2018. 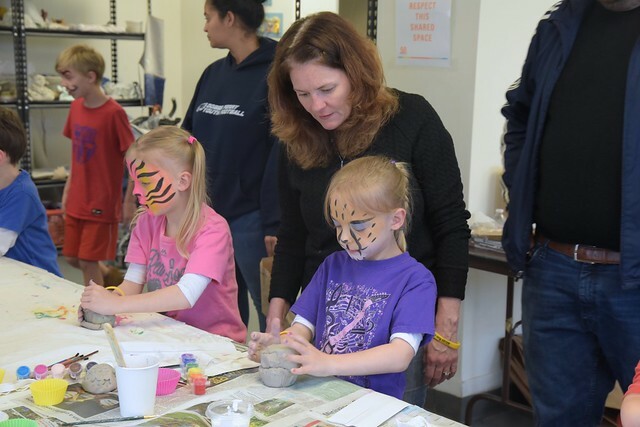 Come to ArtWestchester’s Gallery for a day of fun for the whole family. 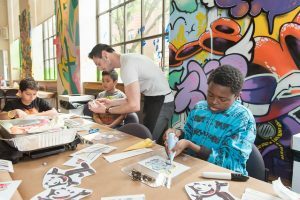 Children’s activities, an art exhibition and more! Learn the basic skills of pinch pot, coils and slab building through this fun clay activity. 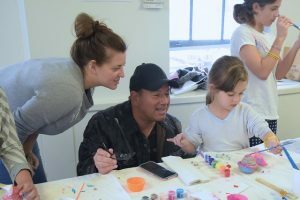 Participants will use their imagination to manipulate and mold air dry clay that they can bring home. Don’t Play It, Eat It! Design your own edible C.D. (cookie design)! Participants’ will recreate their faces through the use of frosting and other delectable treats on a 4″ cookie. Using construction paper and magazine clippings, create your family tree that can be framed for all to see. 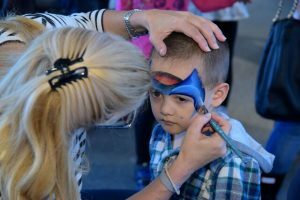 From fun to fantastical designs, let our talented face painters turn your face into their canvas! 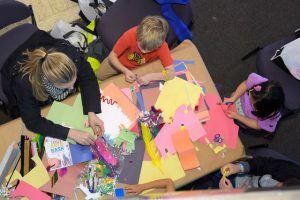 Learn the art of paper doll-making so you can recreate your family through the use of craft paper. 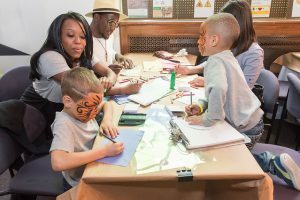 Visit our Learning Lab and take a picture of your family in our digital media area! Afterwards, let our artist guide you in how to design a frame for your new pic. What a way to remember the day! Ridge Hill Raffle & Giveaway! Enter-to-win a Ridge Hill family prize-pack!